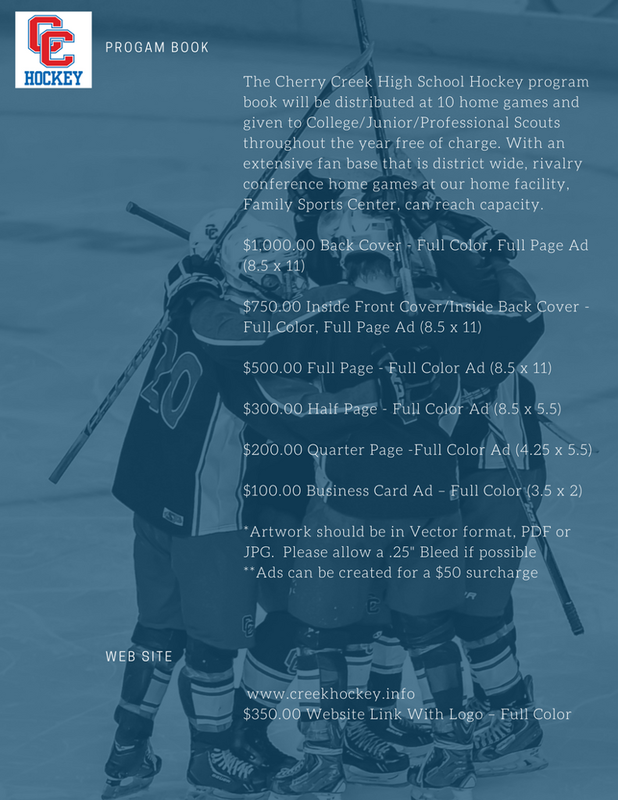 Welcome to the 2018-2019 Cherry Creek Hockey Program Book Donation and Sponsorship Link. Sponsorships and Donations will continue to grow our State and National Championship Hockey program. If you have any questions please contact Gaye Martin 303-475-3128.